Bromances aren’t exactly a new concept. Just like every girl needs their best gal pals, every guy needs their bros. It pretty much goes without saying, right? Bromantic partners are essential to a happy and fulfilled life, so it’s important to spend quality time together and keep the bromance flame burning. 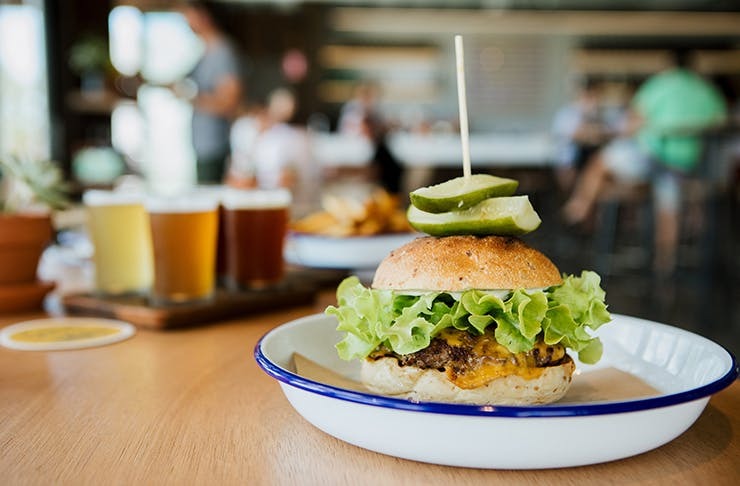 Here are eight great bro-date ideas to take your best boys on, right here on the Sunshine Coast. Make the most of the prime Sunshie Coast weather and head out on the water! Swan Boat Hire in Maroochydore have a range of boats available to cruise out on the beautiful Maroochy River for a fish, BBQ, swim or paddle. The lazier option, of course, is to board the M.V. Catalina where beats and beverages are all taken care of. Nothing says a boys’ weekend like going camping! Choose one of the Coast’s best camping spots, load the ute full of beers and snags, and get going! 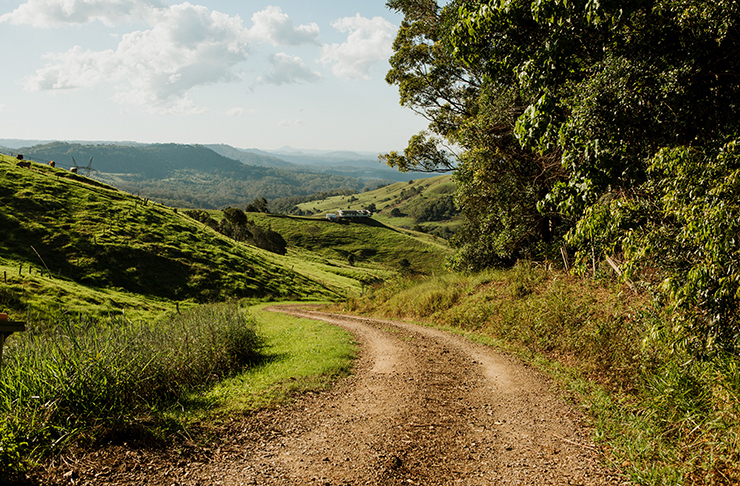 If you want to take your camping adventure to the next level, try a multi-day hike like the Sunshine Coast Hinterland Great Walk. This 58.8km track has three camping stops along the way, not to mention some of the most spectacular scenery on the Coast as a backdrop. For the guys who love their golf, there are golf course options a-plenty on the Coast! A golf session will not only be great for your own health and wellbeing, it’s also a great bonding sesh with your bros. So, whip out your best polo and flat cap and polish your golf clubs in preparation for a top-notch day on the green! If proper golf isn’t really your group’s style, we’re sure that Holey Moley won’t disappoint—with crazy mini-golf courses and a cocktail bar right there, it’s impossible not to love it. Start your epic bro day off with an out-of-this-world brunch at Guru Life in Rosemount. Once your meal has well and truly settled, jump back in the car for five mins and pull up at Bli Bli Watersports Complex. You can go waterskiing, wakeboarding and kneeboarding around the lake—all levels of experience welcome. It’s an absolute blast! Round up your mates and hit the surf at Peregian Beach, followed by coffee and brekky at Skal. Once you’re done sippin’ on those lattes, it’s time for some drinks of a different kind. 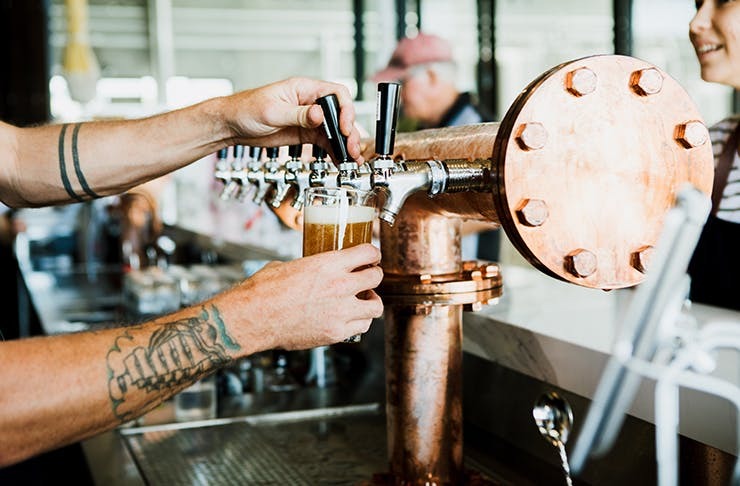 Get an Uber to Land & Sea Brewery in Noosa and embark on a brewery tour, which includes a free schooner on arrival and tastings throughout the tour, as well as a lil’ history lesson. Making waves in the craft beer scene, it would be rude not to thoroughly test the team’s handiwork. Settle in boys, cause you’re gonna be here a while! Paint and sip classes are so on trend right now, and after seeing it taking off in Brissie and being a little jealous, we’re OK now ‘cause our friends at Art Hub Sunshine Coast have got our backs. You definitely don’t have to be a pro painter—in fact, it’s way more fun if you’re not! From flora and fauna to people and local scenery, there’s a new subject each session. Why not grab some of your mates and give it a go over a few glasses of vino? You might unearth a skill you never thought you had. For a genuinely cool place to hang out with your mates, give Moto in Noosa a red hot go. Serving awesome food, pouring cold local beers (and local coffee), and creating custom motorbikes—there’s a lot happening, yet it’s super chill. Hang about for some bites and brews and then continue the party way into the night back on Hastings Street. Enjoy the beer garden at Halse Lodge, catch some live music at Cafe Le Monde, or, if you’re feeling a bit fancy, treat yo’selves to some cocktails at Miss Moneypenny’s. No judgment…they’re freaking delicious. Up for a good ol’ fashioned night on the town? We hear ya! Prepare your livers for a pub crawl along the Coast’s fave bar strip. Start off with cheap eats and cocktails at La Canteena (line those stomachs y’all), then head to The Post Office for bevs in the beer garden and finish off with some live music at Solbar. What a time to be alive! What about taking your bromance to a hightened state? We're talking about the best views on the Sunshine Coast here folks! That's right, flying high in a plane is the ONLY way to take your bromance nek-level. Luckily we know where you guys should head. Paradise Seaplanes have been doing this for years and the experience (trust us) is a once in a lifetime opportunity. There will not be an airport in sight because you'll take off from the stunningly beautiful Maroochy River. We'd recommend the Surf Patrol Adventure that will see you fly you over the best views on the coast. Think: Noosa to Caloundra and then some. This is the ultimate day out with your budding bromance. Want more? 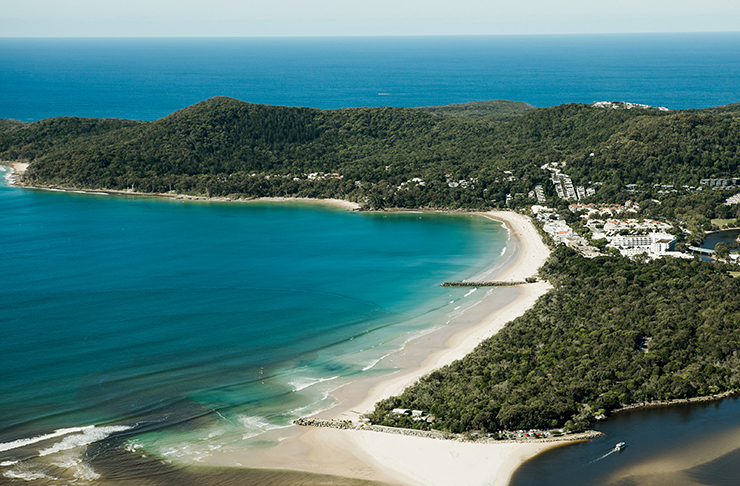 We've rounded up the best adventure activites on the Sunshine Coast here. We've also rounded up the best bike rides on the Sunshine Coast here.